Multiple times a race winner at Oliver’s Mount, Scarborough, last years action at Billown marked not only his ‘Friendly Races’ debut, it was also his first Manx roads voyage. Joined by Scott Hardie within the Team A.R.C outfit, he quickly gelled with the fast flowing, technical roads of Billown, showing solid, consistent pace throughout practice, qualifying sessions. 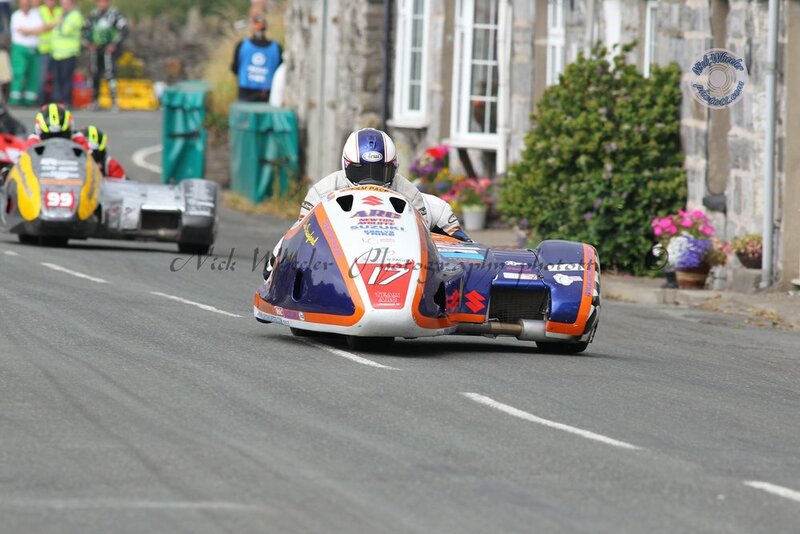 Race action wise, the two Sidecar races that took place on Championship day, yielded a mixed bag results wise. A very creditable 7th in the Ace Hire & Sales Formula 2 race, Crawford/Hardie were non finishers within the feature Sidecar Championship race. Although non finishers, a new personal best lap speed of 96.156 mph, was proof of the obvious progress that was made by them in their maiden Billown stint. Looking forward to his second Southern 100 tenure, Newcastle Upon Tyne based Crawford also has one eye in the future on participation at the world famous TT Races.